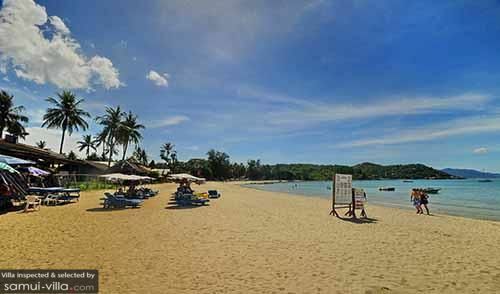 Selected Villas for rent near Choeng Mon Beach (Koh Samui) - Contact us now! Choeng Mon‘s clean waters, quiet shores and good selection of restaurants draw a family-friendly crowd. Its tranquil setting provides an ideal spot for beach bums to relax along the coasts, and the array of water sports activities available here leaves outdoor enthusiasts spoilt for choice.